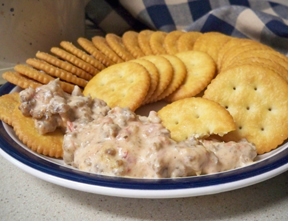 Delicious warm dip that you can keep hot in the slow cooker. 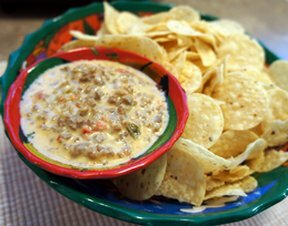 Serve it at your next football party and hear the crowd cheer! Brown meats, garlic and onion together. Drain well. Place in slow cooker. Add tomatoes, soup and cheese. Simmer, stirring until melted. 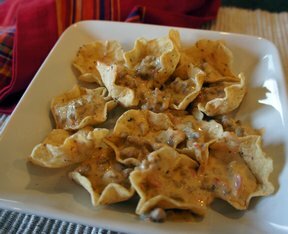 "My kids love this recipe. 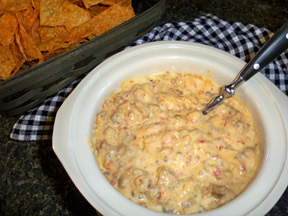 I think the cream of mushroom soup adds a little bit of creaminess to the usually salsa cheese dip. Perfect at our pool party to bring out when it got late."